Well we decided to head to Birdsville for the Big Red Bash again this year and this morning we set off at ridiculous o’clock on our journey to the Simpson Desert. Since our last camping trip to the Goulburn River at Easter I’ve bought myself a new rig with some real 4WD capacity and a 50mm lift kit. It turns out the hitch was a little high for the camper with the lift and neither Master15 nor I could shift the bolt to lower it. 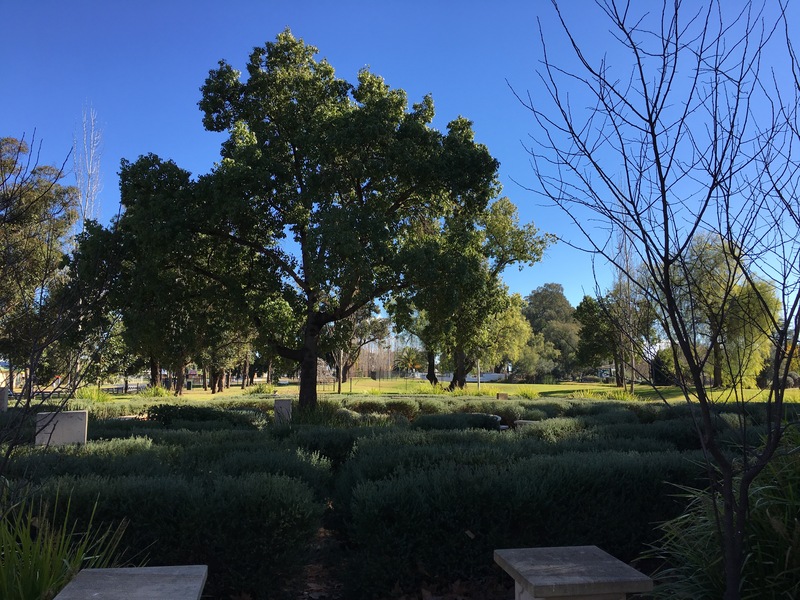 We made our first stop in the lovely town of Finley NSW that had been kind to us on our last trip to Birdsville (we’d lost a box off the camper and it was handed in to the local police who arranged a local transport company to truck it back to Melbourne for me!). We’ve added Nanna to team kickarse for this trip so I sent her off to the bakery with the kids for a mid-morning cuppa while I searched for a mechanic to help us with our hitch. Big shout out to Boomerang Motors for coming to our rescue and taking the time and tools to get us on our way quickly and safely. Back on the road for a few more hours of driving and singing along to the ‘I miss the 80’s’ play list on Apple Music. I’m glad my kids have an appreciation for my eclectic music styles and can sing along at full voice to such classics as ‘What about me’ or rock out with some air guitar to songs like ‘Money for nothing’. I was quickly reminded by about track four (of 99!) just how long songs from the 80’s went for and the length of intros filled with synthesisers and saxophones! We had far more patience for a long intro 20 years ago – they’d be breaking for an ad before the lyrics started if songs were like that now. We continued our very own carpool karaoke for a few more hours before stopping in Griffith for lunch and some fun on the most amazing outdoor adventure playground – for little AND big kids! We even managed to get Nanna to have a turn on the zip line and got it on film for future bribery or bragging rights. The kids had a great time and the sun was shining even though the temperature hadn’t got above 15 degrees all day so we were well and truly warmed up when we got back in the car to hit the road again. About two hours south of Cobar the road kill and wild goats by the road started. It was about this time when I started to rethink the original plan of driving to Bourke where it would be dark by the time we arrived. 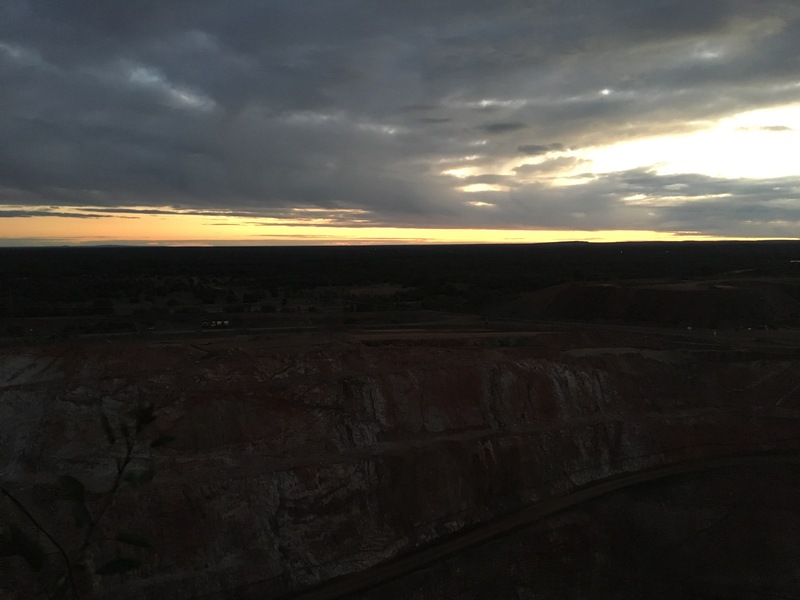 Better to stop in Cobar before the sun sets. We drove through Mount Hope and I was reminded of our last trip when we stopped in for a cuppa. I ordered a mocha at the pub (the only place in town on the main road) and the lady behind the counter said she’d not made one in the four years she’d been there yet mine was the second one she’d made in just two days. Plenty of Melbourne coffee (or not so in my case) lovers on their way to the bash. While waiting by the toasty open fire an old timer who works in the Cobar mine popped in, took out his guitar and started singing some Johhny Cash. Memorable pit stop but not one we had time to relive today. 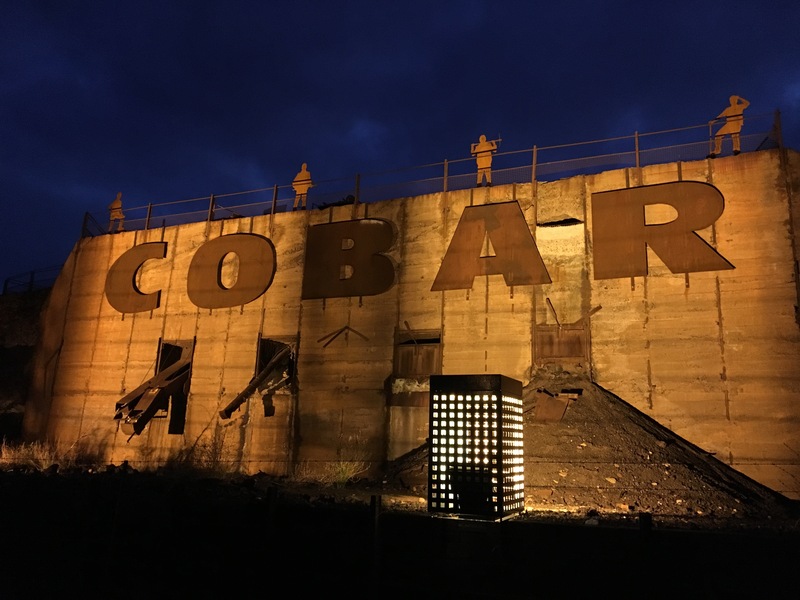 The closer we got to Cobar, the quicker the sun started to fade and the more the foliage by the side of the road, with its silver and black shades, began to look like the silhouette of a kangaroo. We passed emus, herds of wild goats, sheep, cattle and kangaroos and I’m happy to say I remained alert and our new electric brakes work a treat. 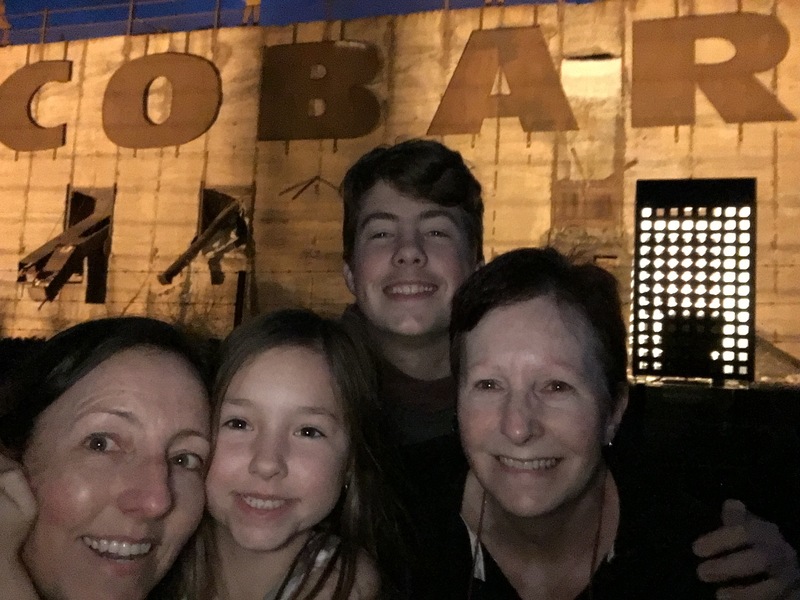 We rolled into Cobar just after 5pm, impressed Nanna with the speed at which we set up the camper and unhitched the car and headed out to the Fort Bourke Hill lookout for the last of the sunset at 5.30. Hot dinner, some reshuffling of pantry and additional items that ended up being packed at the last minute then it was time to settle down with blankets and hot water bottles to watch Ghostbusters II – another 80’s classic to round out the day and warm us up for bed. We’re staying at the caravan park which is lovely but quite noisy with nearby truck traffic. I’m hoping with my ‘snore blocker’ ear plugs I get a better night sleep than the five hours I got last night right before my nine hour drive!